This side section of the church was completely transformed in 1939, based on a design by the Alba architect Giovanni Oreste Dellapiana. 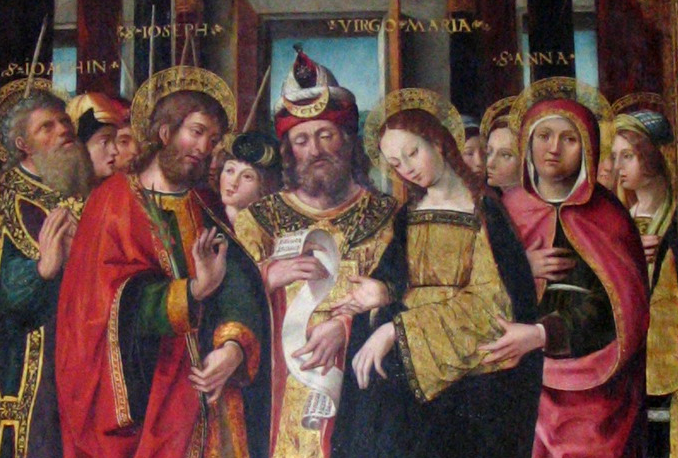 Initially, this was the location for the side altar of Saint Lucy and Saint Nicolò, which was under the patronage of the Verri della Bosia counts, then the Parucca family and, at least from 1872 on, the Raineri family. 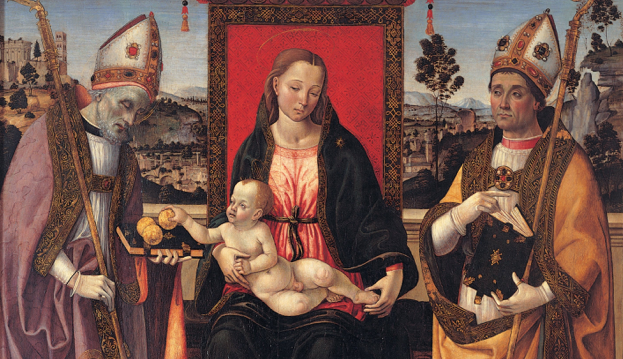 The 16th-century painting from the circle of Macrino d’Alba, showing the Madonna with Child amidst Saint Augustine (or Saint Nicholas the bishop?) and Saint Lucy the martyr, was displayed here. 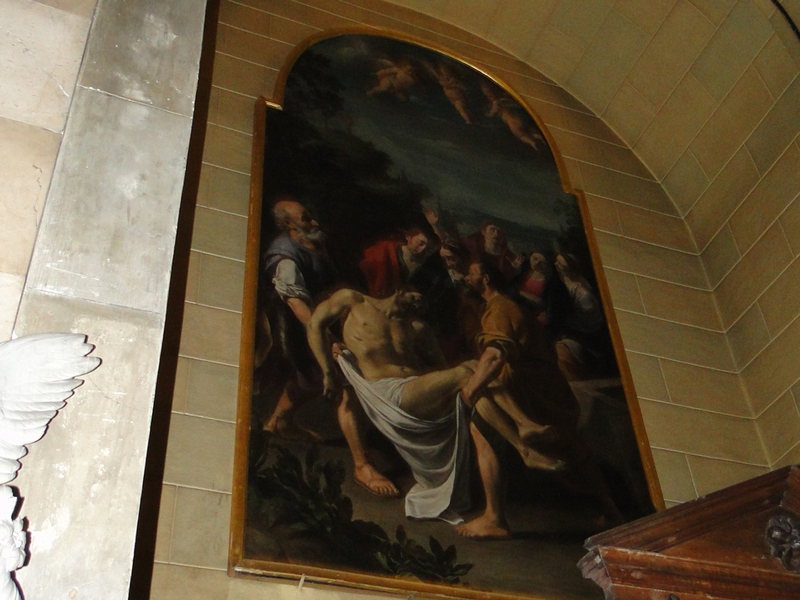 For some time it has been on display in another part of the church. Now, in particular, here one can see the marble baptismal font from 1939. Above, on the wall, is a sculpted group in terracotta, by the Turinese artist Virgilio Audagna (1903-1995). 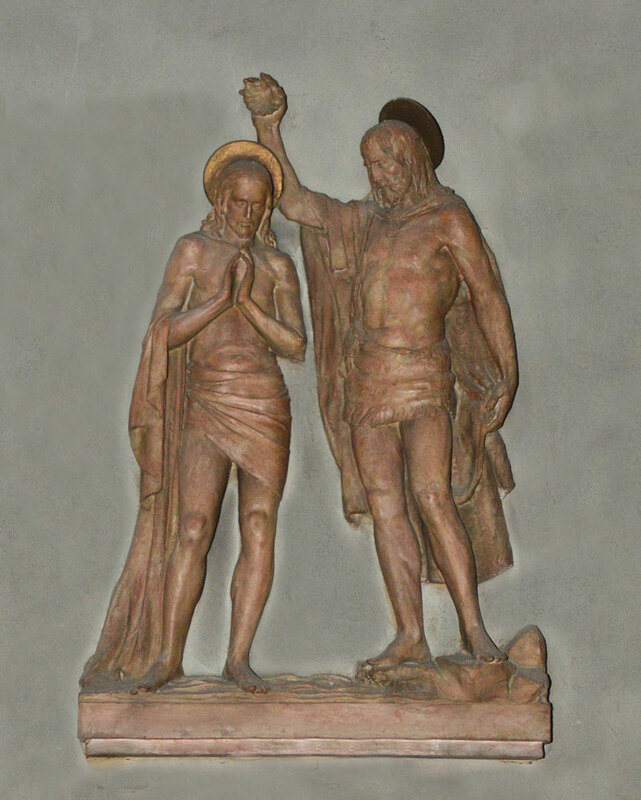 The work represents the Baptism of Jesus Christ, depicted in a conventional style.